It’s the wold’s most valuable sports brand. And it all began when founder Phil Knight decided to start selling track shoes out of the trunk of his car in 1976. Today, Nike is a global athletic shoe and apparel juggernaut, with a brand value of nearly $15 billion U.S. But a string of public controversies in the 1990s and early 2000s over the working conditions at some of Nike’s factories around the world threatened to derail close to 20 years of brand building in one fell swoop. Allegations of child labour, poor wages and dangerous working conditions at various locations in its global supply chain triggered widespread protests and seriously threatened Nike’s very existence. And while the company initially denied any claims of wrongdoing, further damaging its reputation, it eventually responded with humility and transparency. Today, Nike makes its supply chain practices transparent and available online and uses social media in various forms to actively listen to and engage with its stakeholders in order to influence where and how its products are designed and manufactured – all critical elements of effective, and modern, supply chain management. Thanks in large part to the likes of brand ambassadors like Michael Jordan, Nike is the world’s largest sports company. And shoes – or “sneakers” – are its bread-and-butter. According to research firm SportsOneSource the global sneaker market accounts for approximately $55-billion U.S. in international sales and has enjoyed a 40% growth since the mid-2000s, with Nike enjoying close to 70% market share. The best example of where Nike reigns supreme is in basketball, where the Oregon-based company has occupied all levels of the sport: high school, college and the NBA. It didn’t hurt that a young Jordan burst onto the scene in 1985 and catapulted the Nike brand and the global sneaker market into the stratosphere. 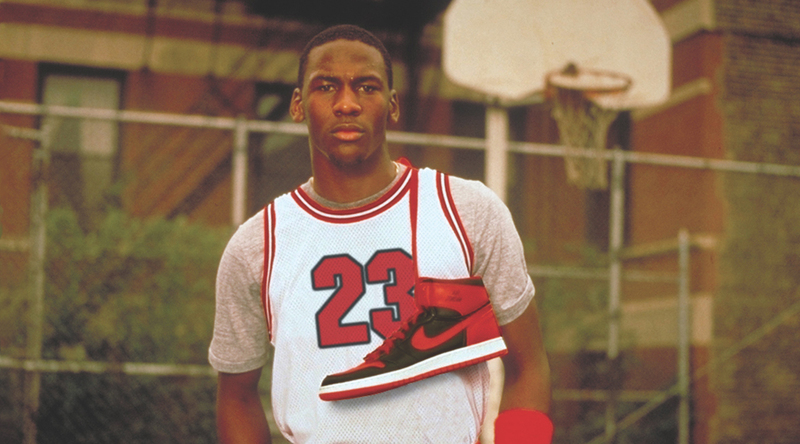 But it wasn’t always a slam dunk for Nike. Two decades ago, the company was under major fire for abusive labor practices after outsourcing work to cheaper manufacturers overseas. The public was shocked by reports of Indonesian Nike workers earning as little as 14 cents an hour. Disturbing allegations of abuse included stories of a Vietnamese sub-contractor who ran women outside until they collapsed for failing to wear regulation shoes. Customers staged public protests at the Olympics and at Nike stores. People began boycotting the brand in droves. The perception that Nike abused its workers lasted for several years. The issues with its factories overseas made Nike realize that it needed to go beyond merely having visibility of its supply chain, to a digitally enhanced supply chain that detects and responds to changes – and engages its stakeholders in the process. A quick online search will yield reports on Nike’s factory conditions so that anyone, from customers to media to the company CEO, can easily access information about different suppliers and working conditions for the one million-plus workers at more than 500 factories around the world. And while some issues continue to persist, Nike can’t be accused of not making its supply chain management activities transparent. In recent years, with demand for its products growing, Nike took the bold move to shift some of its shoe manufacturing back to North America and Europe. The desire for so-called localized manufacturing reflected Nike’s appetite for more sustainable production – for example, shoes made in the U.S. for U.S., or made in Germany for Europe – and addressed calls from customers for more responsible and responsive manufacturing. In fact, nearly 20% of production for Nike shoes will move to more automated factories by 2023 due to a “buy now/wear now” shopping environment forced by the shift to e-commerce, according to Morgan Stanley. Meanwhile, watchdogs like Ethical Consumer continue to regularly report on Nike factory conditions and encourage readers to share their views on Twitter or Facebook. We asked Tim Hunt, Researcher with Ethical Consumer, whether social media is indeed making an impact in the way companies manage their supply chain practices and overall reputations. I think online work is seen more of a way of augmenting and promoting all the traditional methods of engagement rather than a silver bullet for winning campaigns. To its credit, Nike realizes that the benefits of a transparent digital presence in its supply chain extend far beyond the bottom line. It can help monitor suppliers’ and vendors’ reputations, and provide advance knowledge of potential supply disruptions – such as worker strikes – due to political or economic events. “(It is) a critical element of our digital ecosystem. It provides us insights that drive innovation, strengthens consumer connections to our brands, and provides a platform for consumers to interact with each other,” Nike CEO Mark Parker says. Social media in the supply chain can also be utilized to manage stakeholder (in Nike’s case customers) relations. Stakeholders can make or break a brand and are critical to effective supply chain management. The public backlash forced Nike to realize that stakeholders play an absolutely critical role in its supply chain practices. Transparency of its supply chain and a feedback mechanism for customers to voice their concerns through social media were key to salvaging Nike’s reputation. And while Nike’s manufacturing practices continue to be scrutinized today, the advent of a digitally-enhanced supply chain allows customers to feel as though they are able to apply pressure to the company as needed. And it allows Nike to respond with humility and transparency. It’s been a win-win situation for both Nike and its customers.